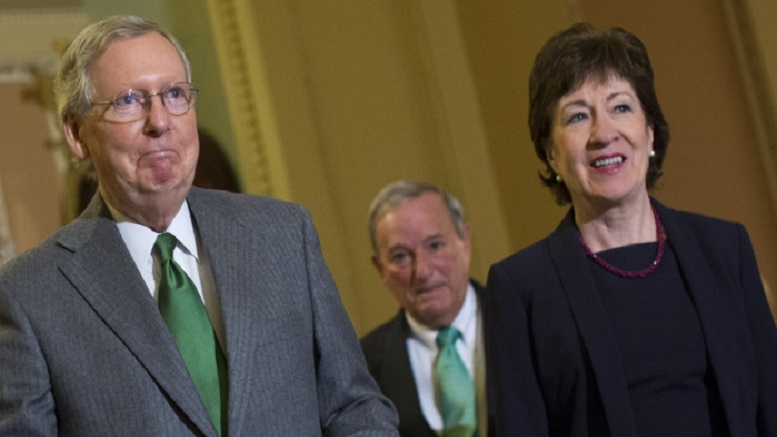 Senate Leader Mitch McConnell announced today that he was conferring upon Senator Susan Collins the highest honor he knew, that of honorary straight while male. Despite the fact that any number of other male Republicans could have intervened to alter the outcome of the Kavanaugh nomination, including Senator Flake, McConnell said the focus is rightfully on Collins. McConnell paid tribute to his colleague from Maine, at least as far as he could, given her obvious limitations. The newly appointed Justice Kavanaugh also conveyed his congratulations. Be the first to comment on "Susan Collins Made Honorary Straight White Male By Republican Leadership"